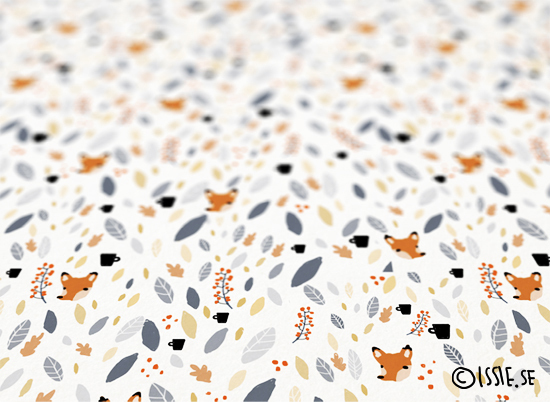 blog of issie - drawing, cats and stuff: Fall pattern. October is foxes, berries, leaves, strong winds and strong coffee. Exactly my type of month for being inside and getting things done. I feel the need for it now - and the ideas and projects are waiting, both on my desk in forms of preparations for artwork, but also in dreams and thoughts. I am eager to start. First up, I will be working on something really really fun for Djurens rätt (Animals rights) Sweden that have to be done before october ends. Good times awaits.